Oxford, North Carolina, is the historic seat of Granville County. The rolling hills of the Piedmont have long been one of the country�s leading tobacco-producing regions. For a number of years during the 1800s, Granville grew more tobacco than any other county in the state. High production levels continued through the 1900s. 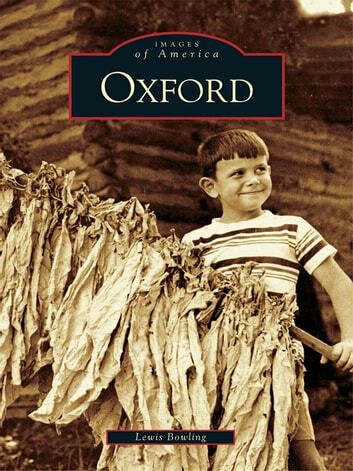 In its time, the Oxford Tobacco Research Station was the largest facility of its kind in the world. 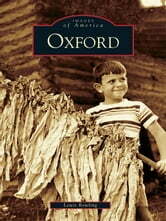 With the tobacco industry contributing so much to the local economy, Oxford has much to show for its success. The town is widely known for its beautiful historic homes. With educational institutions such as Oxford Female College and the Horner Military School, Oxford was once called the Athens of the South. Many influential people have called Oxford home. The historic images presented in this book explore these fascinating aspects of Oxford�s history.